Address; 1st Pass School of Motoring, 23 Hookacre Grove, Priorslee, Telford, Shropshire. TF2 9GG. Driving School (Driving Instructor) based in Priorslee, Telford. Learn to drive with confidence, male & female instructors. Calm, friendly & professional, free beginner lesson, block booking discount, intensive courses. The dry training, fleet training. The Academy School of Motoring in Telford is about enjoying driving, as well as informative and safe driving tuition. The Academy School of Motoring teach more than just passing the driving test. Run by Nick & Jayne Cupitt, the Academy School of Motoring (Telford) are a well established driving school covering Telford, Shrewsbury, Shifnal, Newport, Cosford and Broseley areas. Address; 20 Ullswater Close, Priorslee, Telford, Shropshire. TF2 9RB. Driving School based in Shawbirch, Telford. Address; Phil Burrows, 24 Horsechestnut Drive, Shawbirch, Telford, Shropshire. TF5 0LN. 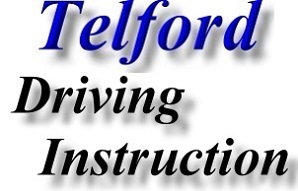 Driving School (Driving Instructor) based in Trench, Telford. Established Over 40 Years, Full 60 Minute Lessons, Discounts for Students, Unemployed and block bookings. Address; Admaston School of Motoring, 16 Richmond Avenue, Trench, Telford, Shropshire. TF2 7ES. 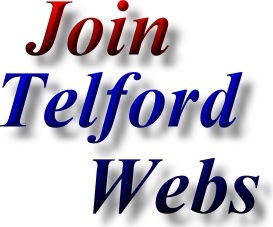 Driving Instructor (Driving Instructor) based in Trench, Telford. Address; Alans School of Motoring, 150 Wombridge Road, Trench, Telford, Shropshire. TF2 6QA. Driving School (Driving Instructor) based in Muxton, Telford. From Beginner to Advance, Taylor Made Courses, Manual and Automatic cars, Friendly and Patient Instructors, Latest Training Methods. Address; Edwards School of Motoring, 8 Cedarwood Drive, Muxton, Telford, Shropshire, TF2 8SH. Address; Hansons Fast Pass Driving School, 39 Christine Avenue, Wellington, Telford, Shropshire. TF1 2DX. Driving School (Driving Instructor) based in Wellington, Telford. Well-established and proven driving school based in Wellington, Telford; with an excellent first time pass rate. Fully Qualified Driving School (Driving Instructor) based Telford. Learner Driver Training to Advanced Driver Training in Telford and Beyond. we also offer Fleet Driver Training. Address; Mr Max Driver Training, 22 Lytham Green, Muxton, Telford, Shropshire. TF2 8SQ. Mr Max Driver Training are Diamond Advanced Motorist Certificate holders and DSA registered and approved instructors. Since 1999, Mr Max Driver Training have helped learner drivers of all ages and abilities throughout the Telford, Newport and Shifnal areas of Shropshire. Over this time, Mr Max Driver Training have developed a tried and trusted driver training programme, unique to this school, which has delivered success in terms of test passes and produced responsible new drivers. Driving School (Driving Instructor) based in Stirchley, Telford. 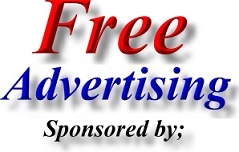 Address; No Ls Driving School, 3 Castlecroft, Stirchley, Telford, Shropshire. TF3 1UD. Driving School (Driving Instructor) based in Aqueduct, Telford. Safeway offer a professional but understanding approach to driving tuition, enabling you to become a safe and confident driver. Our Tuition Services include hourly driving lessons, available and devised to suit your individual needs. And for first time drivers, the Safeway Free Lesson Voucher entitles you to your first lesson completely FREE (and without any further commitment). Address; Safeway UK Driving School, 63 Majestic way, Aqueduct, Telford, Shropshire. TF4 3RE. Address; Top Dog Driving School, 4 Linley Drive, Stirchley, Telford, Shropshire. TF3 1RQ.